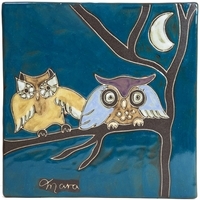 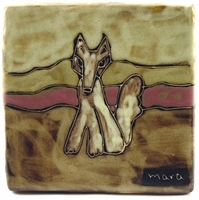 Mara Tiles and Trivets 6" x 6" & 8" x 8"
Ceramic tiles come in many colors and designs and Ceramica Mara has added artistic imagination to their ceramic tiles in every possible way. 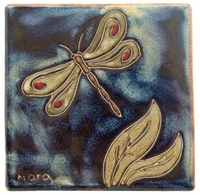 If you have ever wanted unusual tiles to use in decorating, you might want to consider one of Mara's unique stoneware tiles. 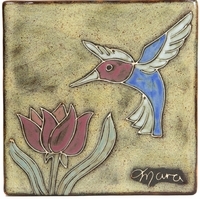 She has designed 6-inch tiles and 8-inch tiles for this purpose. 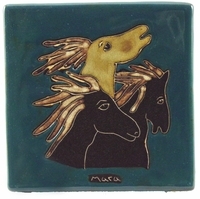 Also if you never have enough trivets for placing hot foods on, you might consider one of Mara's uniquely designed stoneware trivets. 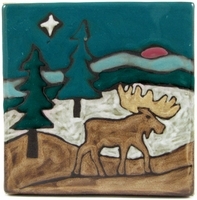 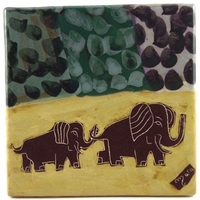 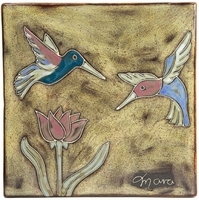 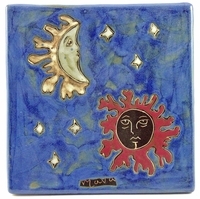 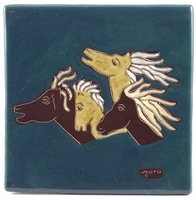 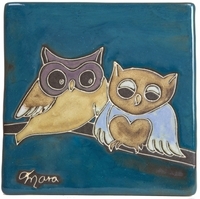 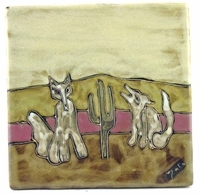 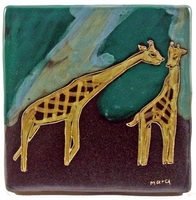 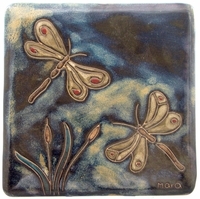 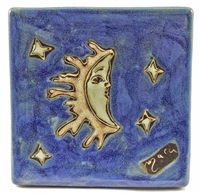 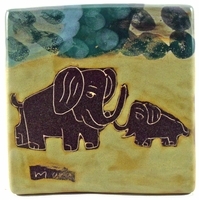 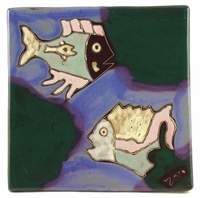 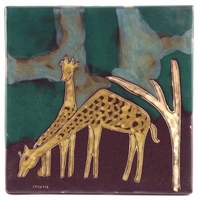 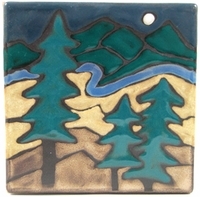 Mara stoneware tiles/trivets are fired twice at high temperatures and finished by hand. 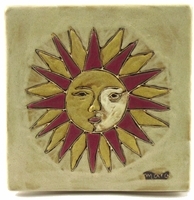 Minor imperfections and color variations are therefore a common characteristic of hand-finished stoneware products.